Jumping into a kayak is not only one of the most enjoyable and relaxing outdoor activities – it’s also great for your body! 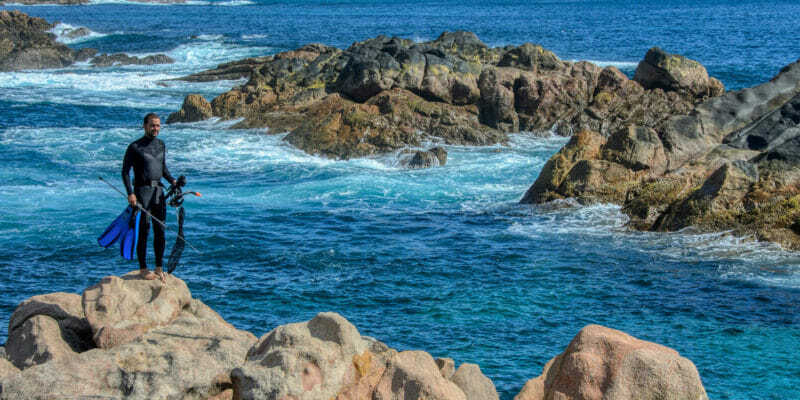 Paddling on the azure tides, surrounded by nature’s beauty is truly a magnificent way to spend the day. Despite what many people think, kayaking is actually one of the best full-body workouts on the planet. Many people are under the impression that kayaking only works their back and arms. That couldn’t be further from the truth. 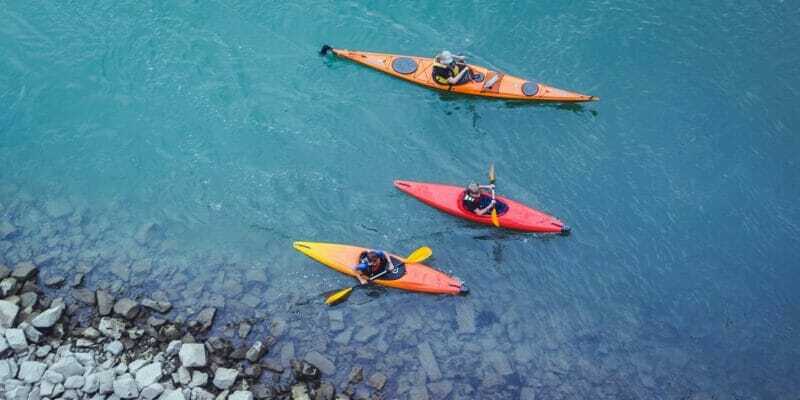 In this article I’ll explain the various muscles used in kayaking – and how to keep them healthy – so you can keep on kayaking for the long-term. Is Kayaking a Good Workout? 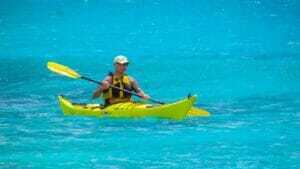 Which Muscles does Kayaking Work? Many new paddlers ask this question before experiencing the total body fatigue that follows an intense kayaking session. The answer to the question really depends on your level of intensity and effort. Kayaking doesn’t have to be a serious workout or exercise. 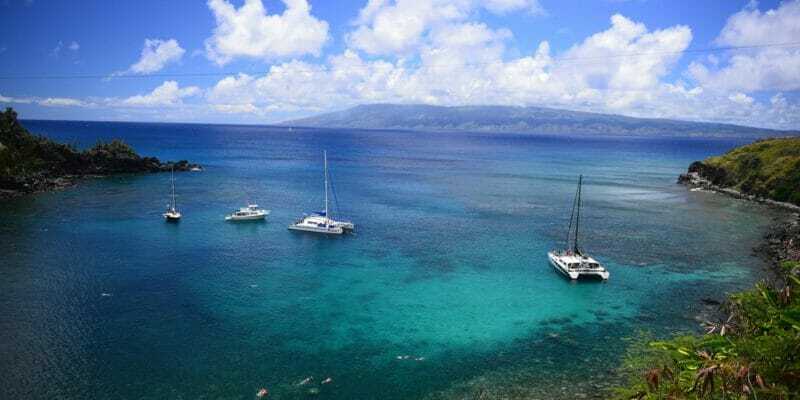 It can be anything from a leisurely paddle in a recreational kayak, to full-on sprints – which leave you totally exhausted and gasping for air. One of the great parts of kayaking is the level of control you have over the intensity of your workout. 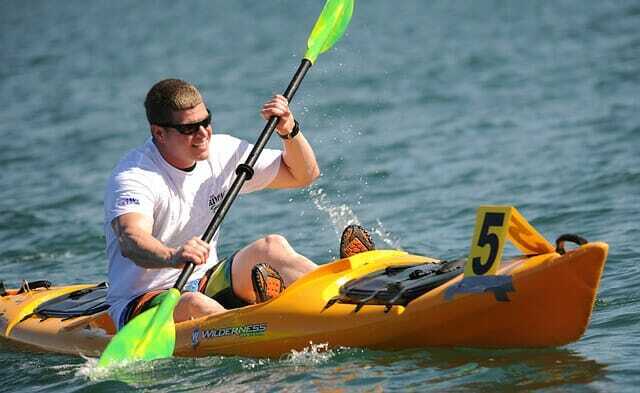 There are few other sports which target as many muscle groups as kayaking. 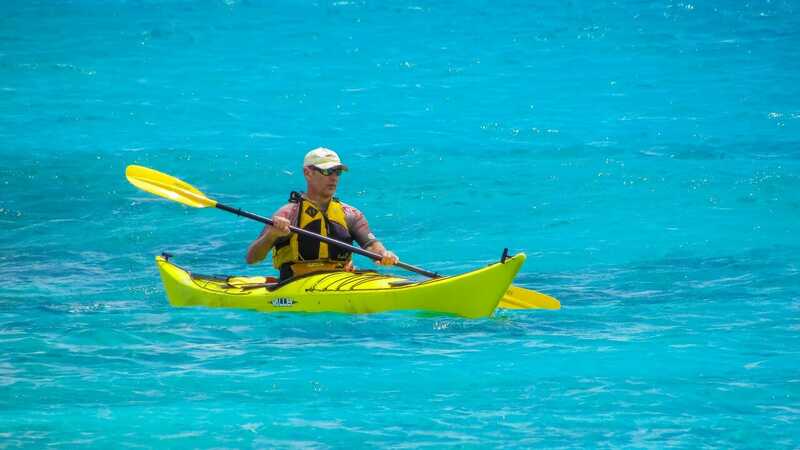 An intense kayaking session will work your arms, back, core, and legs, while also improving your cardiovascular fitness. The number one muscle group most people think of when they imagine kayaking is the back. And for good reason! The muscles in the back are one of the primary drivers used during each kayak stroke. The Lats (latissimus dorsi) are the largest muscles in your back and are contracted during every forward stroke. They act to transfer power from the lower body and pull the arm back and inward towards your body. Pull ups, chin ups, rows and lat pulldowns are all exercises you can do in the gym to increase your lat strength. 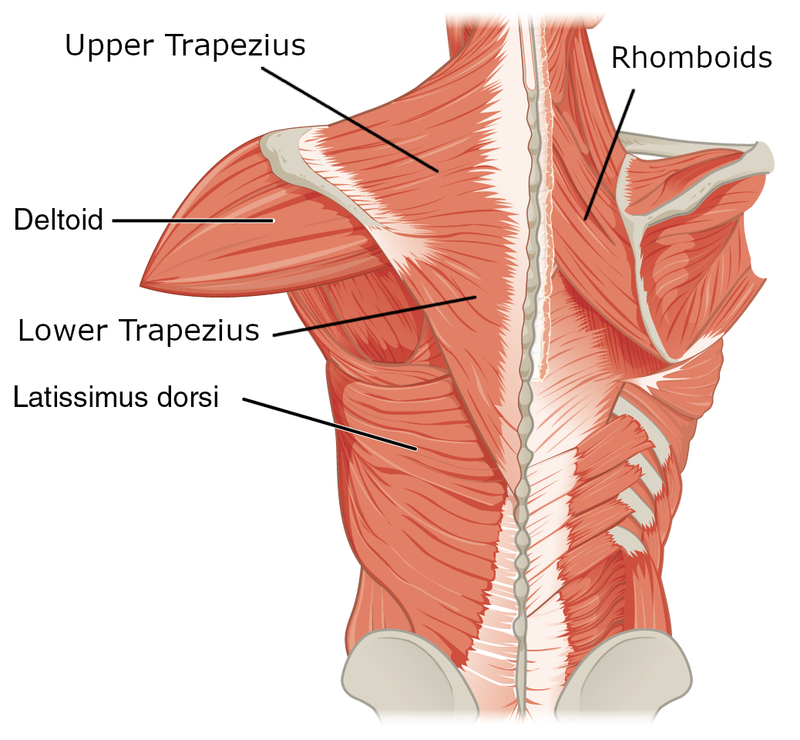 The rhomboid muscles of the upper-back are responsible for scapular retraction, which occurs at the end of a kayak stroke. This simply means they pull your shoulder blades back towards the middle of your spine. These small muscles are very important for a healthy posture and should be stretched out frequently. 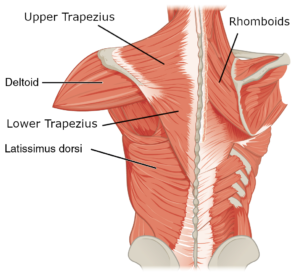 Lastly, the Traps (trapezius) are the large middle-back muscle used to move the shoulder blades up and down, as well as to provide motion to your neck and spine. Most people are only familiar with the upper traps, the so-called “shrug” muscle, but there are also middle and lower traps. Kayakers often overuse their upper traps, so it’s important to train the lower/middle traps as well. Maintaining good posture while paddling is paramount to keeping your back healthy. That’s why getting a good quality kayak seat is such a good idea. A comfortable seat with good back support will enable you to paddle longer and stay pain free. The shoulder muscles are heavily recruited during kayaking. They tie-in closely with the muscles in the arms and back. Shoulders might not seem that important to the casual observer, but they are actually the most injured joint by kayakers. During the forward stroke, the back of the shoulder (posterior deltoids) gets worked much more than the front part of the shoulder. It’s used to help pull the paddle towards the body. This can lead to overdevelopment of the rear deltoids and a muscular imbalance. Training and stretching out the shoulders with particular focus on balancing the rear and forward deltoids is very useful. Another way to ensure you avoid injury to the shoulder joint is maintaining the ‘paddler’s box’ at all times while paddling. This is just an imaginary rectangle formed by your arms, paddle and chest. This position ensures maximum power and shoulder safety. 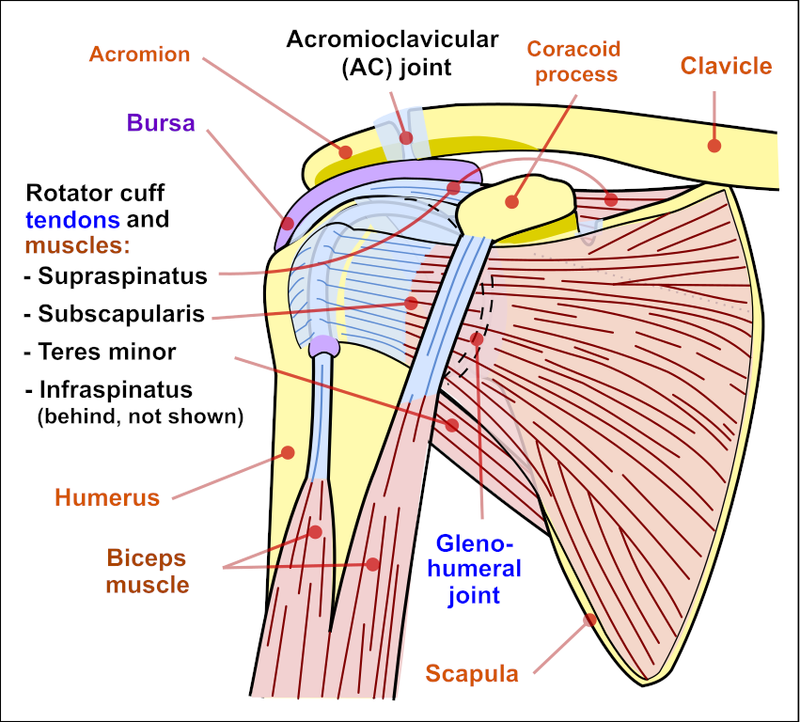 Rotator cuff tendons and muscles. While the rotator cuff muscles could be included with the rest of the shoulder muscles, they are important enough to merit special attention. 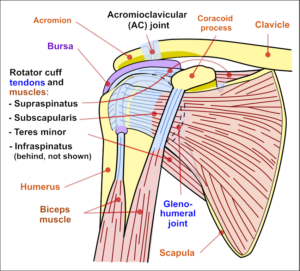 The four muscles of the rotator cuff (supraspinatus, infraspinatus, teres minor, and subscapularis) act in various ways to rotate and stabilize the shoulder and arm. Keeping the rotator cuff healthy and strong is key for many athletic pursuits, but especially so for kayakers. You can train the rotator cuff in the gym with internal/external rotations using a power band or a very light dumbbell. Everyone wants a pair of nicely sculpted guns. Kayaking can definitely assist in that area, as both the biceps and triceps are heavily recruited during paddling. The biceps and triceps are known as an Agonist-Antagonist pair. This means that as one muscle contracts, the other relaxes. So during a forward paddle stroke, the biceps contract to pull the paddle in one arm, while simultaneously the triceps acts to push the paddle in the other arm. This provides a consistent workout for both muscle groups throughout the paddling motion. As your contact point with the paddle is in your hands, everything else you do while kayaking depends on having a strong grip on the paddle. The power generated by your core, back and arms must be transferred into the paddle through your grip. Kayaking is one of the best ways to build real grip strength, as your forearms are constantly engaged during intense paddling. Wrist injuries can occur if you are not careful, so be sure to relax your grip when you are casually paddling. The chest doesn’t seem like one of the obvious muscles used in kayaking, but it is involved. Chest muscles are used to extend one end of the paddle forward while the other arm pulls the paddle inward. These muscles also act as stabilizers throughout the kayaking motion, much in the same manner as they would with a cable row in the gym. The core muscles are extensively recruited in several different ways while kayaking. Because your legs are inside the kayak, your core acts as the anchor which connects your upper body to the kayak. Throughout the forward paddling motion your abdominals and obliques act to rotate your trunk from side to side. This is where the real power is generated. 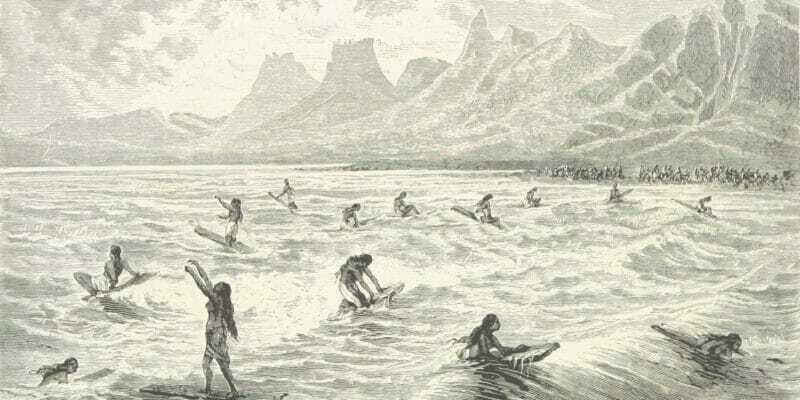 Beginners often think the power comes from the arms, but in reality the rotational force generated in the legs and core drives the paddling motion. The abdominals and lower back also act as stabilizers to maintain balance and proper posture. 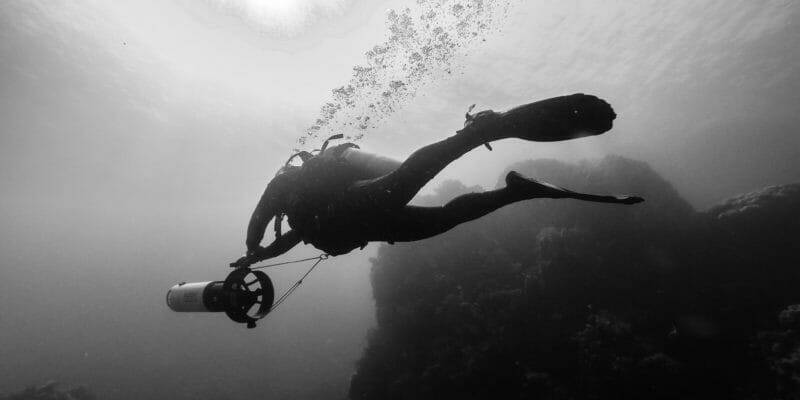 They are constantly engaged in maintaining good posture in your spine and preventing the boat from capsizing. Yes, even the legs get used during kayaking. While not an intensely leg heavy sport like cycling, kayaking recruits the leg muscles as synergists for the entire range of motion. This means they act to stabilize the body during the kayak stroke. A good kayak stroke begins at the point of contact between the feet and the boat. This is where the power transfer for the entire stroke is initiated, so it’s important to make sure your feet are firmly planted on the kayak’s foot braces. As you become more skilled at kayaking, you will find you can utilize your legs in a large number of ways: everything from bracing to turning and rolling. The hips also come into play as the point of contact between your core and the kayak body. They are utilized heavily when preforming a ‘hip snap’ during a roll or brace maneuver. Last but not least is the most important muscle of all, the heart. Whether you’re kayaking leisurely, in whitewater or doing sprints, kayaking is a great cardiovascular exercise. 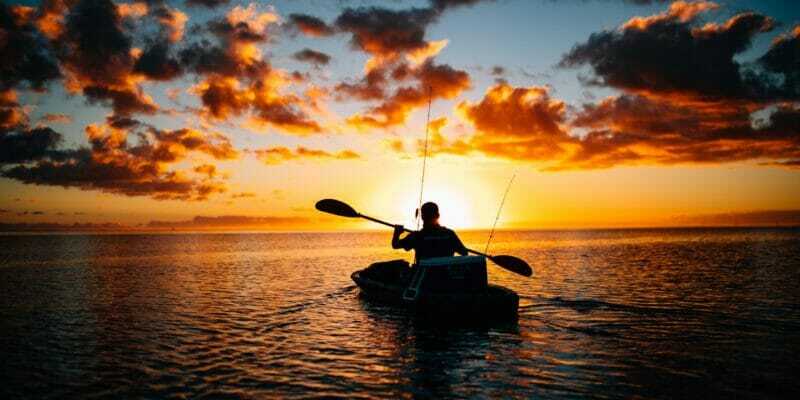 In fact, an hour of kayaking can burn 400 to 500 calories. It’s also a great cardio option for people with lower-body injuries, as it’s one of the few cardio-centric upper body activities. WOW great article.Thanks for the information.